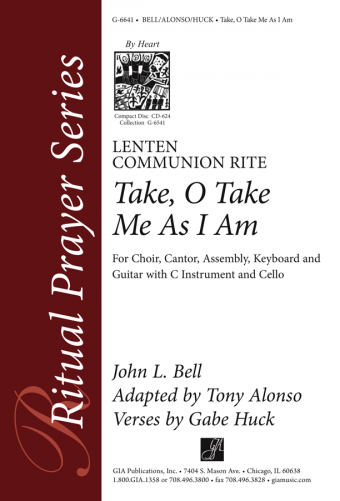 GIA is proud to present the voice of a new generation in church music with this debut collection by Tony Alonso. 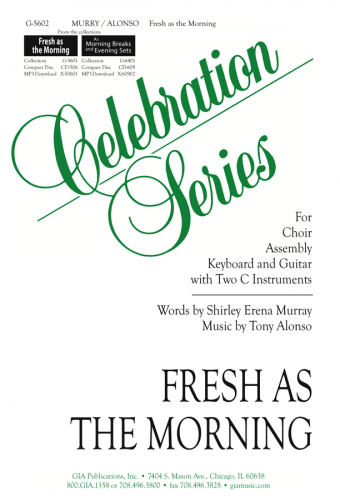 Produced by his friend and mentor David Haas, Fresh as the Morning offers a variety of music including psalms, hymns, and communion and gathering songs. 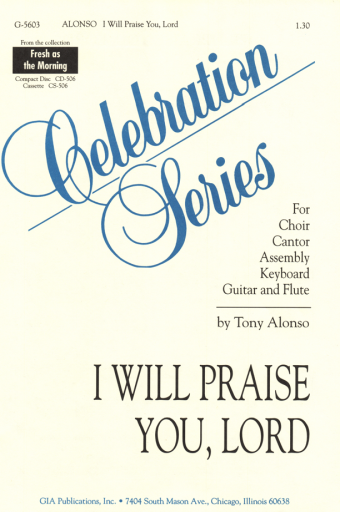 From all of the new music in the GIA catalog, "What You Have Done for Me” was one of only a dozen pieces chosen to be premiered at the GIA showcase at the 2001 convention of the National Association of Pastoral Musicians (NPM) in Washington, DC. Fresh as the Morning (G-5602) - I Will Praise You, Lord (G-5603) - Come to the Table (G-5606) - Love Poured Down from Heaven (G-5605) - Grant Us Peace, Lord (G-5610) - People of Hunger (G-5604) - Come, Emmanuel (G-5613) - What You Have Done for Me (G-5608) - Come to Us (G-5609) - We Stand in Wonder of Creation (G-5611) - Jesus, Give Us Strength (G-5634) - I Am Standing Waiting (G-5612) - Alleluia, Christ Is Risen (G-5607).